It's easy to tell that it's turning into a quiet week for news when Sir Clive Sinclair pops up on the BBC talking about his latest vision of the future. This time, the personal-computer pioneer is fixated not on electric cars or bikes, but on flying cars for the common man. Sinclair told Radio 4, "I'm sure it will happen and I am sure it will change the world dramatically," before going on to point out that he doesn't use the internet in order to keep his mind clear. That and his silver-foil hat, of course. Meanwhile, back at the Microhoo farm, the departed Bill Gates has told NBC television that the deal between Microsoft and Yahoo is unlikely, but that, "there are plenty of others that will get done and I'll look on with great respect." Nevertheless, Yahoo is still chuntering on about it, this time suggesting that Microsoft was never serious about the liaison. Microsoft's response? "This is simply revisionist history." Ouch. Equally silly, perhaps, is the news from Bhutan that members of the country's parliament have been banned from taking laptop PCs into the chamber. Assembly speaker Nima Tshering explained why. "The members can be distracted playing games and viewing pictures." 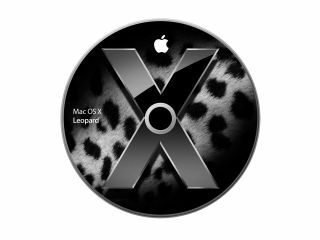 Lastly for this morning, Mac users running OS X Leopard have received their second software update in a month with the release of the 10.5.4 patch. The latest Band Aid from Apple does little of consequence beyond fixing a few small problems with iCal and Safari and addressing some minor security issues.